In some cases, users may experience internet connectivity issues due to conflicts between several active security services who are trying simultaneously to protect the user. If a site is not accessible via the proxy, the system will attempt to fall back to the mode of work without proxy. For this feature to operate, the proxy bypass needs to be enabled in Settings>Web security>Web Security Agent>Auto Proxy Bypass. Enable the Auto Bypass Proxy in the file by changing false to true. 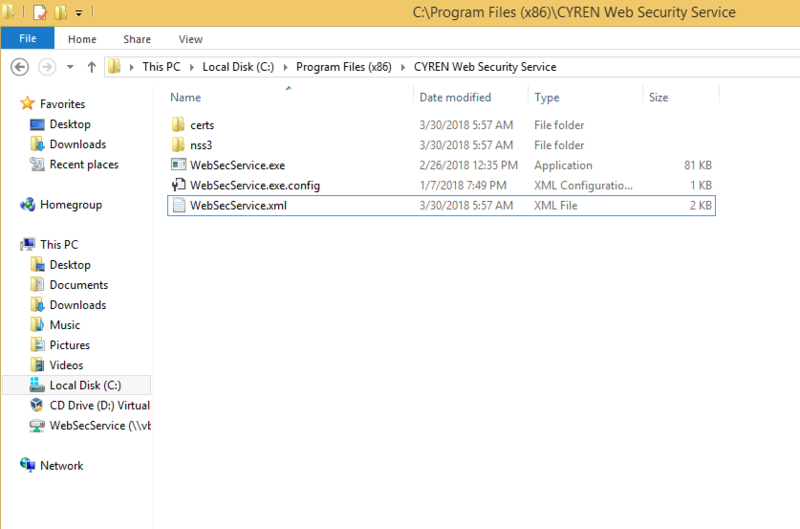 Enable the Auto Bypass proxy in the file %PROGRAM FILES%\CYREN Web Security Service\WebSecService.xml, as seen above. You need to manually add the AutoProxyBypass field or, alternatively enable the Auto Proxy Bypass mode in the Admin Console> Settings>Web Security>Web Security Agent>enable Auto proxy bypass.